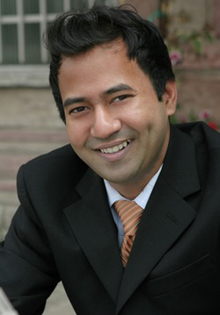 Shil Niyogi Senior Director of Product Engineering, healthcare firm, Chicago. Shil Niyogi has helped many entrepreneurial firms streamline their existing operations to drive profitability. Currently, he is consulting on various product management assignments with entrepreneurial firms. His book How Some Small Businesses Get their Ducks In A Row And Grow was published by SAGE in 2011 and received excellent feedback from leading management leaders. Shil went to the prestigious Delhi Technological University for his Civil Engineering undergrad, where he started the Creative Arts Society to cater to the innovators there. He started his career as a risk engineer. He studied the emerging insurance market there and its relevance to the Indian economy and wrote a series of articles for The Economic Times, a leading financial newspaper. He received his MBA at UCLA Anderson School of Management, specializing in entrepreneurship and marketing. At Anderson, he revived the Operations Association, and also cofounded a student-run newsjournal on new management styles and innovations, for distribution to entrepreneurs. Currently, he continues to work with entrepreneurs and innovators to more effectively manage operations and service customers better, through enhanced intelligence gathering methods.